South River through the eyes of R. Van Dyke Reid ~ The History Girl! If you're familiar with South River, you probably know that it occupies less than three square miles nestled between the more sprawling expanses of Sayreville and East Brunswick. What you might not know is that until 1898, when it incorporated as a separate borough, South River was part of East Brunswick. The significance of that fact in relation to the South River – Images of America book will become apparent once you learn a little bit more about what's in the book. Long before there was a South River Historical & Preservation Society, Richard Van Dyke Reid made himself the unofficial historian of South River. From an early age, he created scrapbooks of newspaper clippings, death notices, marriage announcements, and election data. Born in September 1833, his earliest scrapbook entry dates to July 1844. Reid was clearly a curious 10 year old. Those of us interested in South River history are extremely grateful. 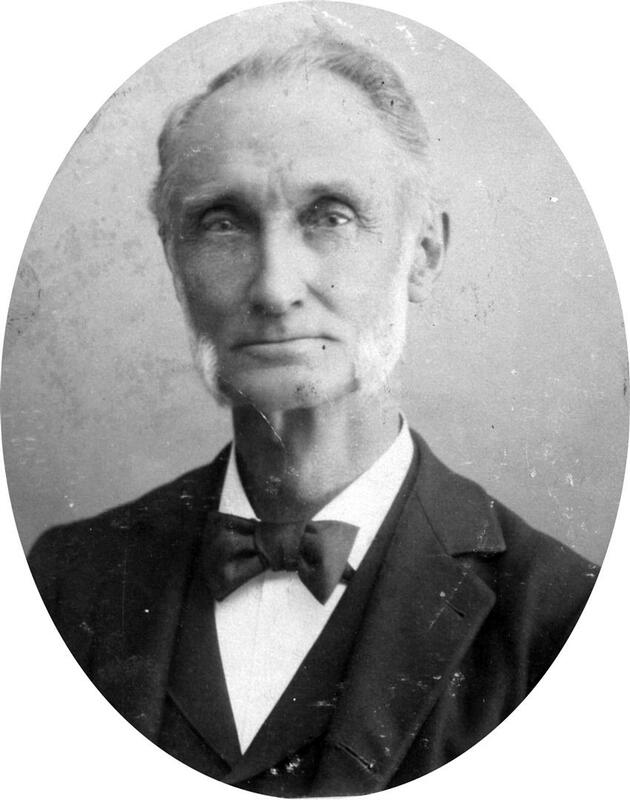 Richard Van Dyke Reid, born in South River in September 1833, had a varied career in the community. Among the positions he held were teacher, merchant, census enumerator, secretary of the board of public health, assistant postmaster, and superintendent of the Methodist Episcopal Sunday school. 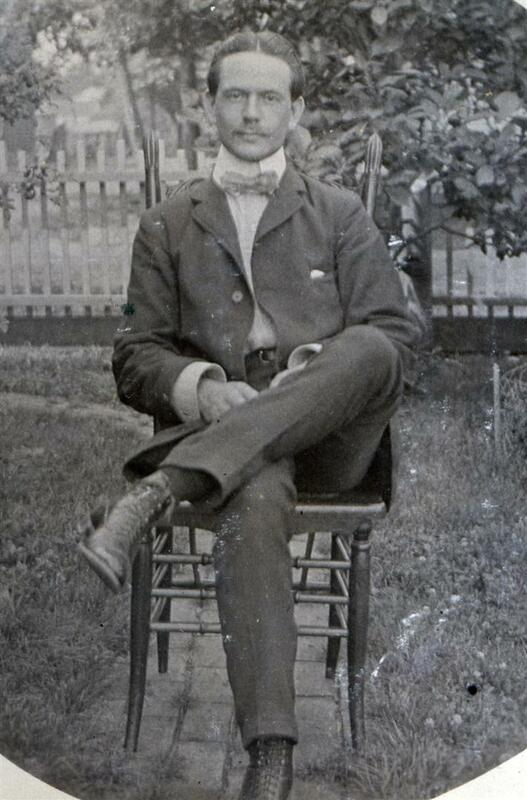 His portrait was taken in New Brunswick in March 1898 by a Mr. Dickinson. In March 1851, at age 17, Reid surveyed and drew what is now the oldest known map of the streets and properties in the village where he was born. He developed his interest in photography later in life. 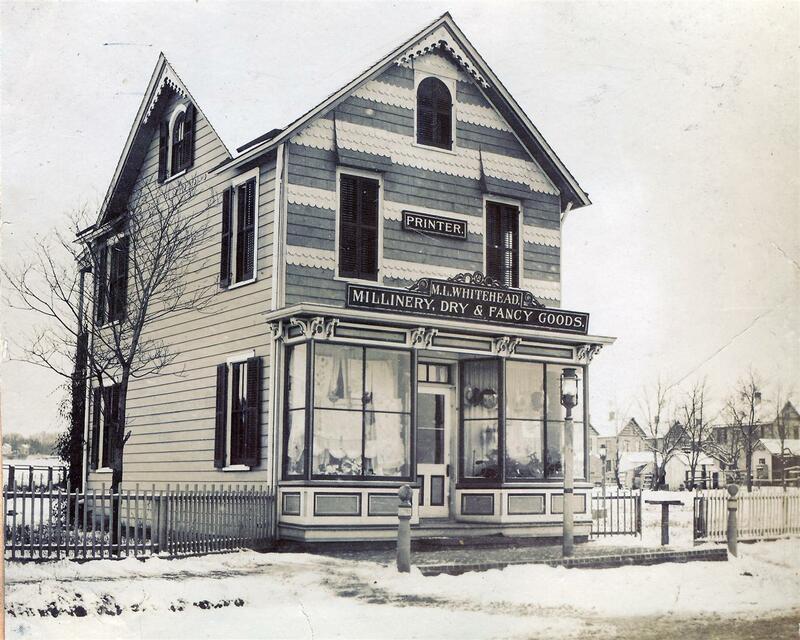 Between 1891 and 1906 he captured more than 400 images of businesses, public buildings, residences, churches, streets, and other views of South River. It's these images that were used in the book, providing a perspective on the years immediately before, during, and following the passage of An Act to incorporate the borough of South River, in the county of Middlesex. Taken as a whole, Reid’s legacy provides a unique view of South River during its transition from a village within North Brunswick township to its inclusion in the newly established township of East Brunswick and continuing to its emergence as an independent borough. 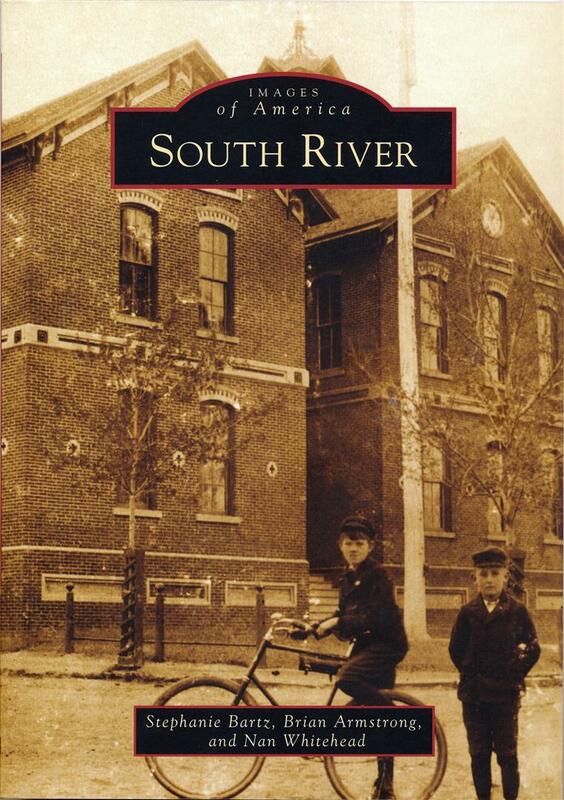 No other single resource provides such an extensive picture of South River’s history, so it seemed natural to use it as the foundation for our book. My co-authors (Brian Armstrong and Nan Whitehead) and I are all members of the executive board of the South River Historical & Preservation Society. We've talked about writing a book for many years, but for a variety of reasons it never really progressed beyond the talking stage… until last year that is. When the subject came up again in the spring of 2014, the three of us jumped at the chance to take on the project. It was with mixed feelings of excitement and trepidation that we sent our proposal off. What followed was a year filled with research, investigation, and new discoveries. I think I can speak for all three of us and say that it turned out to be one of the most rewarding experiences we've had in our years working with the society. Thanks to a suggestion from my husband, the book came together in a very different form than we originally envisioned. It intermingles the photographs that Reid divided into themes (such as residences and public buildings) when he pasted them into his album. Each chapter uses his photographs of the streets to establish a path that readers can walk as they read about the people, houses, businesses, churches, and other points of interest along the route. The journey begins in one of the oldest sections of town, starting (appropriately) with Reid Street, and ends where all journeys eventually do, at the cemetery. What makes the book special to the authors can be illustrated with three of the photographs we included in the volume. I've lived in South River for over 30 years now, and have been involved with the South River Historical & Preservation Society for more than half of that time. My husband's family has been in town since the late 1800s and their longstanding ties to the community are the reason I joined the society. 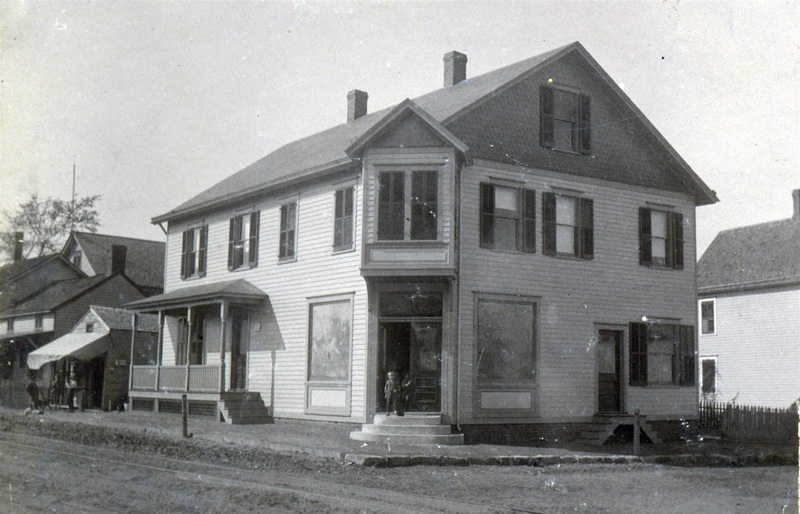 The photograph at the top of page 65 of the book shows the store owned by my husband's great grandfather, Edward Splatter. There are several small children in the open doorway. Every time I look at the photograph I wonder whether they were random visitors to the store on the day that Reid set up his camera in the middle of Jackson Street, or if perhaps they're family members, unnamed and unrecognized. If only I could step back in time and ask for Reid's help in solving this and other South River mysteries. Brian Armstrong has never lived in South River, but the Armstrong family has been part of its history for more than 120 years. Anyone who's been in town for more than a few years knows about the automobile dealerships owned by members of the family, but it's probably less widely known that Jesse Selover, author of what is probably the best known history of South River, was married to Jean Armstrong. She completed his manuscript after his death. Jean and Jesse were Brian's great aunt and uncle. His grandfather Charles was one of Jean's younger brothers. Nan Whitehead's connection to South River reaches back to the early 1800s, farther than either Brian's or my own. Agriculture, sand, clay, bricks, and banking were just some of the enterprises in which her ancestors were involved. The Samuel and Maria Whitehead whose store and printing business is shown in the photograph were Nan's great uncle and aunt. You'll note that it's located on Whitehead Avenue. Like several other streets in the borough, it got its name from a twig on one of the branches of Nan's family tree. Brian, Nan, and I serve together on the executive board of the historical society along with a group of other dedicated members. Being part of the organization is both fun and rewarding. I've had the opportunity to meet many interesting people and I'm always learning new things about the place where I live. It's been months since the South River – Images of America book was published and new facts about the people and places featured are still emerging. Just recently I came to realize that my connection to the sites covered in the book isn't just through my husband and my time living in South River. Although my grandparents settled in Sayreville, my father actually graduated from the school that appears on the front cover of the book. If you have information to share about anything we've included in the book, or about South River in general, please get in touch. We would love to hear from you! 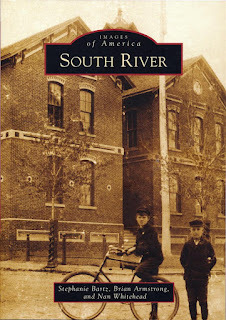 You can reach us by e-mail at southriverhistory@gmail.com or through Facebook at www.facebook.com/southriverhistory. First settled along a tributary of the Raritan River in 1720, South River was known as Willettstown and later as Washington. Part of East Brunswick until 1898, it emerged as an independent borough in Middlesex County with the passage of the state law to incorporate it. Although comprising fewer than three square miles, South River once served as a shipping and transportation link between New York and Philadelphia and has been home to industry since the first brickyard was established in the mid-1800s. Sand and clay mining, brick and tile manufacturing, shipbuilding, and textile and clothing manufacture have played significant roles in the development of the borough, as have the numerous ethnic groups in the community. Spanning the years from 1891 to 1906, the images included in this book document a time when hotels, embroidery factories, brickyards, and small businesses flourished while the population doubled and a trolley line simplified connections with nearby communities. Stephanie Bartz lives in South River with her husband and their dogs and has served on the executive board of the South River Historical & Preservation Society since her introduction to the society in 1999. During her tenure on the board, she has tried her hand at such diverse tasks as photographing and recording gravestones, answering historical queries, cataloging donations, designing the website, putting together newsletters and calendars, and many other projects. She considers researching and compiling this new book with her co-authors to have been one of the highlights. In her professional career she is a librarian at her alma mater, Rutgers, The State University of New Jersey. One of nine children, Bartz is an avid genealogist, local history researcher, postcard collector, indoor gardener, and reader. Brian Armstrong’s family has been part of South River history for more than 120 years with members who were prominent in business as well as civic affairs. Mayor, councilman, and bank director are among the positions they held. Armstrong has a Bachelor's degree in history and political science from American University. He has been president of the South River Historical & Preservation Society since 2009 and is a trustee for the League of Historical Societies of New Jersey. His presentations have included historical programs on South River businesses, hotels and bars, football, banking, and Main Street homes, as well as appearances on HTTV's Family Historian genealogy program. Armstrong has also written newsletter articles for both the South River Historical & Preservation Society and Maine's Bar Harbor Historical Society. Nan Whitehead has roots in South River that date back to the early 19th century when her ancestors settled in the area and acquired large tracts of land. From agricultural beginnings, they expanded to sand, clay, and gravel mining, and eventually to other businesses such as brick making, banking, dry goods, and printing. Whitehead continues a family tradition of civic contributions to the community with her service on the executive board of the South River Historical & Preservation Society. Her Bachelor's degree from Monmouth University (formerly Monmouth College) has been instrumental in the success of the cosmetics and skin care business she established in 1984. She is an enthusiastic family historian, antique collector, and reader, and has been a professional model and actress with both film and television credits. Do you have pictures of the Tan and Brown trimmed how at the corner of Prospect St.. , Reid St and Thomas. That was my Great Grand Parents store with their residence up stairs. Anton and Eva Fruh. My Great Aunt Katie Fruh lived in that house and passed away at 100 yrs old. She was the first member of St. Stephen's church to live to be 100 yrs old. I wish I knew you three were doing this ahead of time....I could have lent you photos that were my Great Grand Parents.